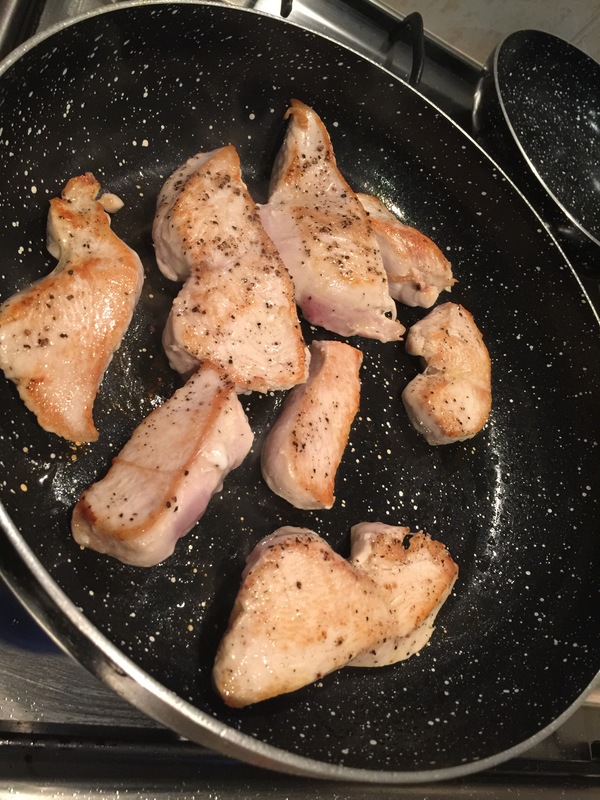 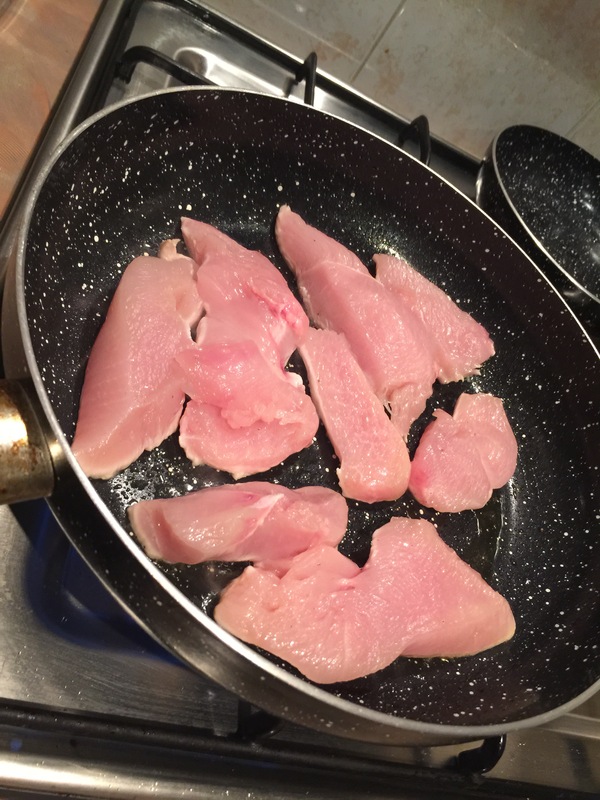 First you need to get yourself some ingredients. 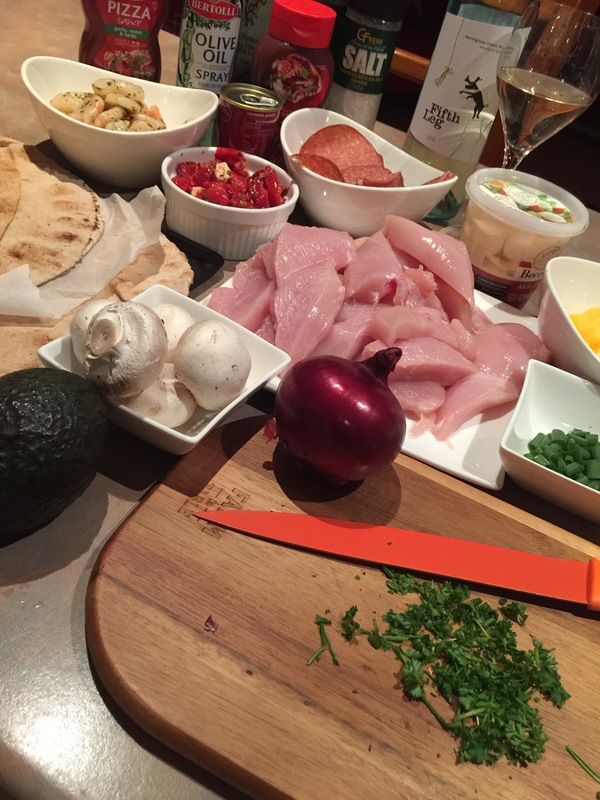 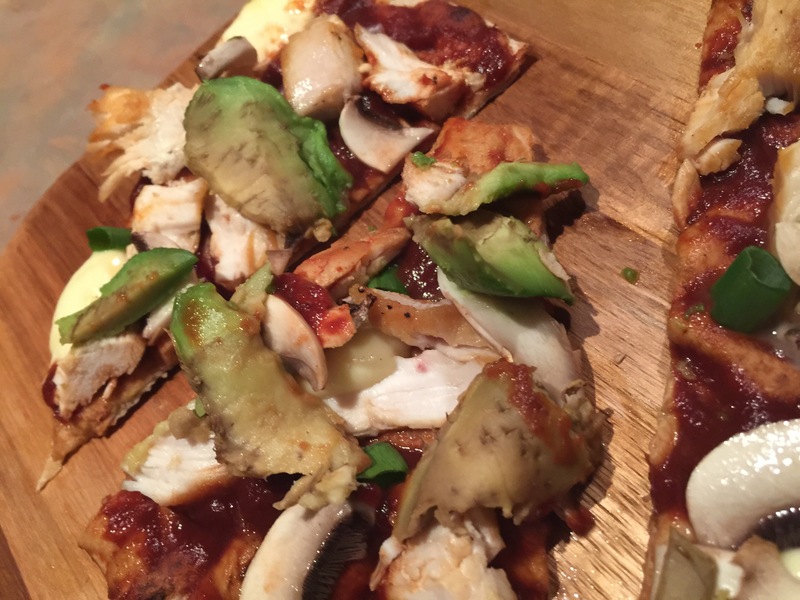 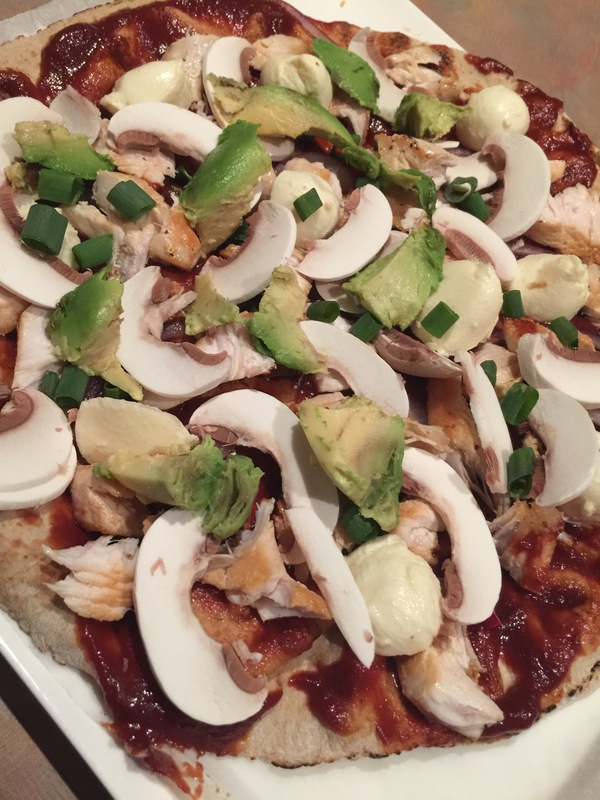 Coat the bread with BBQ pizza sauce, add mushrooms, boccochini, avocado, shallots, red onion and chopped chicken. 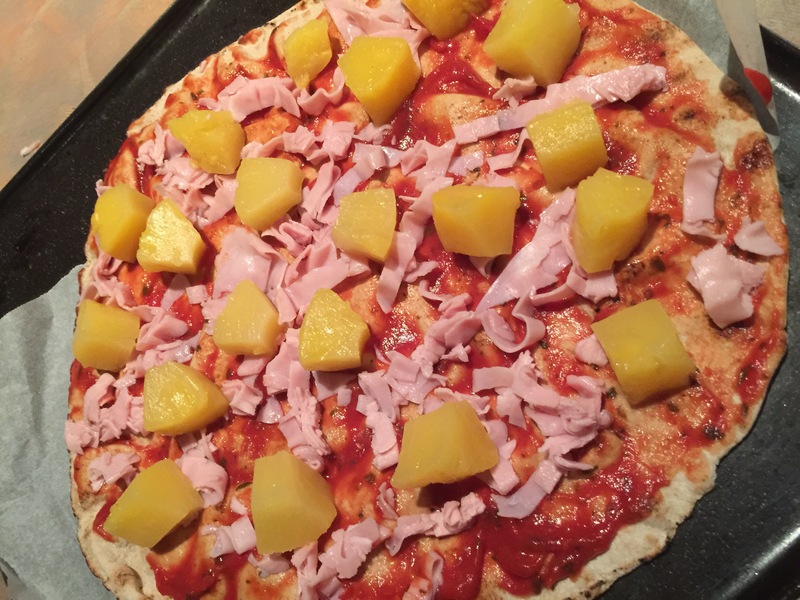 Cook in oven for six minutes at 210 degrees celcius. 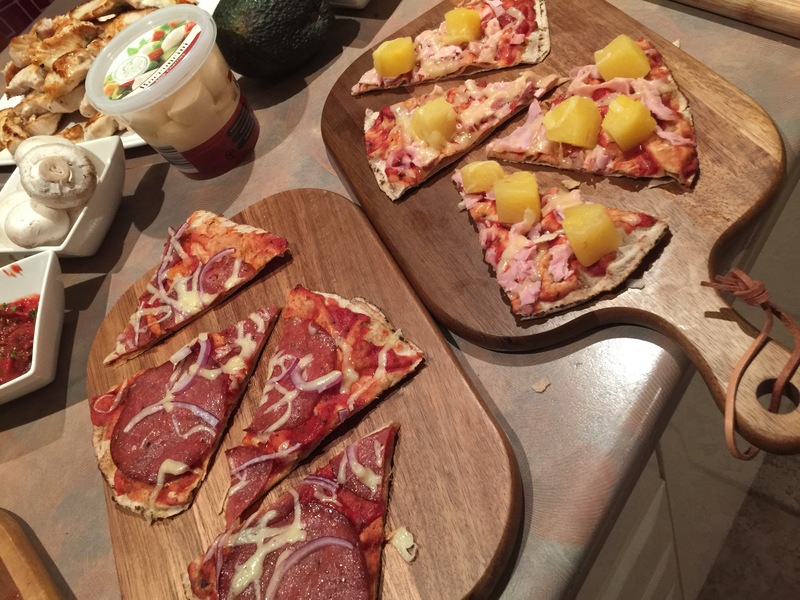 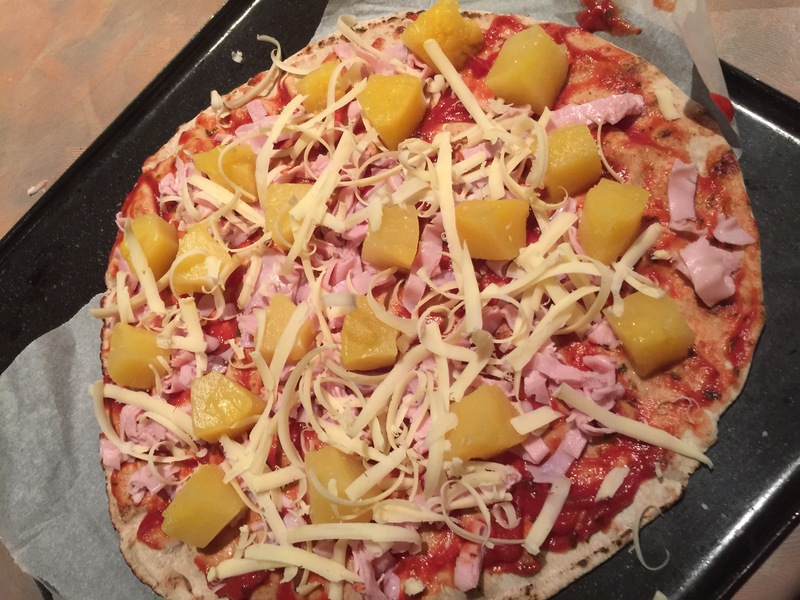 Hawaiian pizza, shredded ham, pineapple on a tomato pizza base. 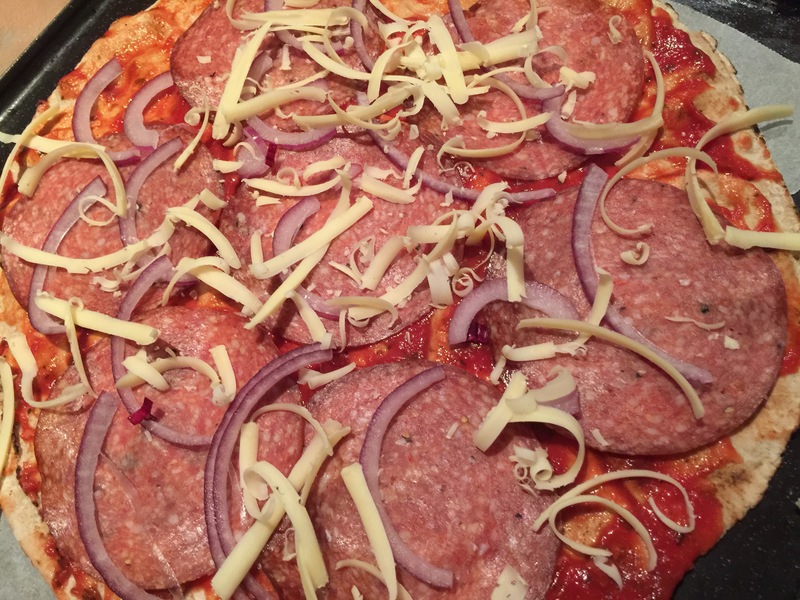 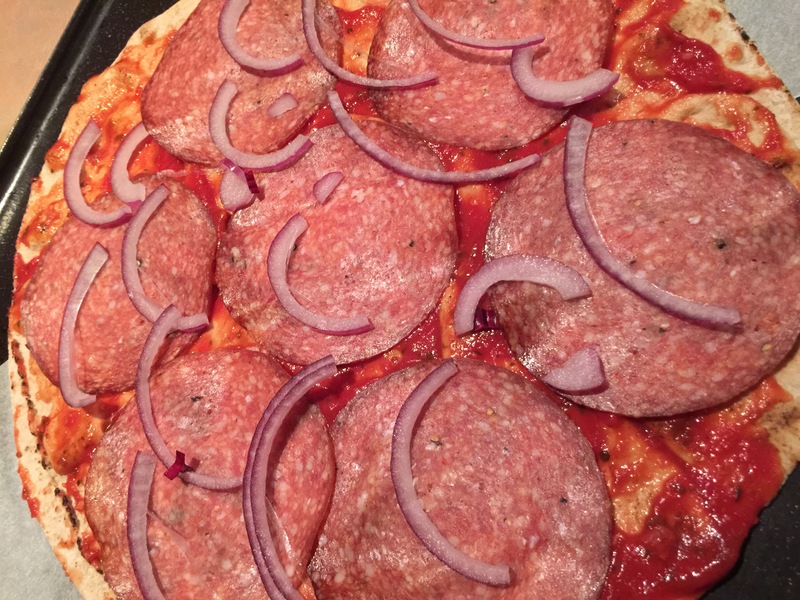 Hungarian Salami pizza, Lebanese bread, tomato base, salami and red onion. 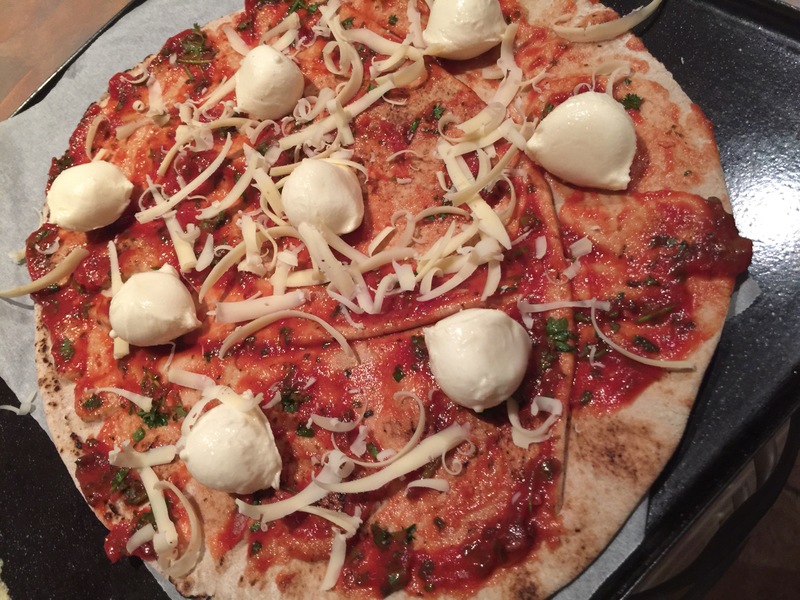 Margarita pizza, tomato pizza base, bread, boccochini, parsley, chives and shallots. 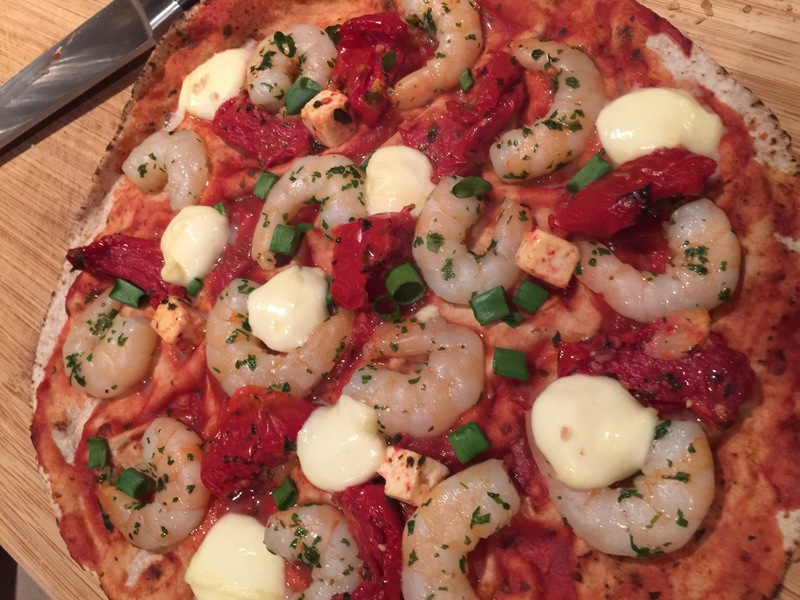 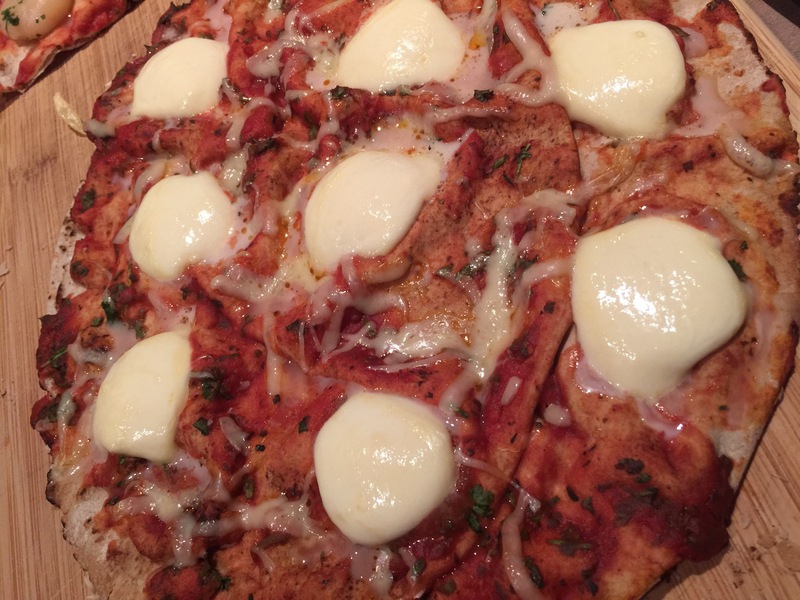 Garlic Prawn pizza, tomato base, bread, shallots, sun dried tomatoes, feta, boccochini and Garlic Prawns…..yum.